My mother-in-law has a beautiful garden. This year, though, it needed a little help (my m-i-l had surgery on both her feet in May). Because of the rainy spring and summer they've had (remember the mosquitoes? ), the weeds had all but taken over her garden. The potatoes, snap peas, corn, carrots, pumpkins, onions, and cucumbers were being smothered by choke weed, thistles, and all sorts of ugly invasive weeds. 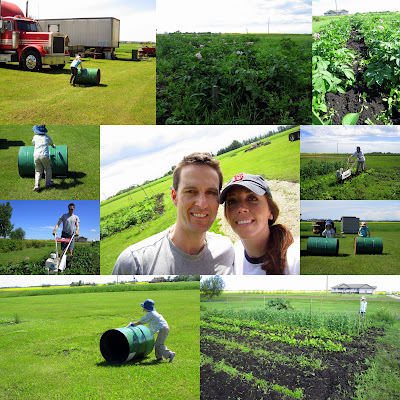 After lunch, we geared up in our garden clothes, started up the rototiller and began the 4-hour process of ridding the garden of weeds. I loved every minute of it! Being in the garden, getting my hands dirty, with no sounds other than the chirping birds, the whir of the rototiller and the occasional mosquito buzzing my head (thank god for Deep Woods). My nieces busied themselves with oil barrel races, chasing butterflies and occasional weed-pulling. We all had a great day. All day, my nieces had been anticipating making s'mores after dinner (a.k.a. supper up in these parts). We had all the ingredients and were ready to light a fire in the fire pit when.... a storm blew in and a downpour ensued. Our s'mores plans were thwarted! But the graham cracker box saved the day! On the back there is a recipe for s'mores made in the oven! And, oh man, were they good. Just as ooey-gooey messy as a s'more made over the fire but without the smelly smoky hair and the blood-thirsty mosquitoes. Win, win! Aaaah. 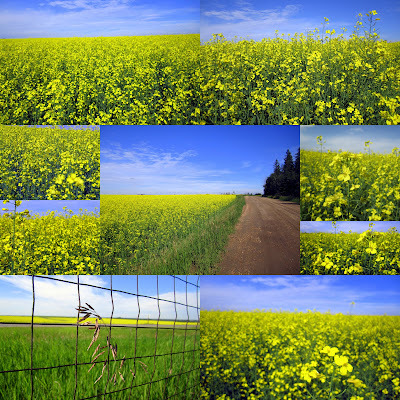 The canola fields. They are strikingly beautiful. If Lee and I had been married up here, I would've totally had pictures taken in these fields. 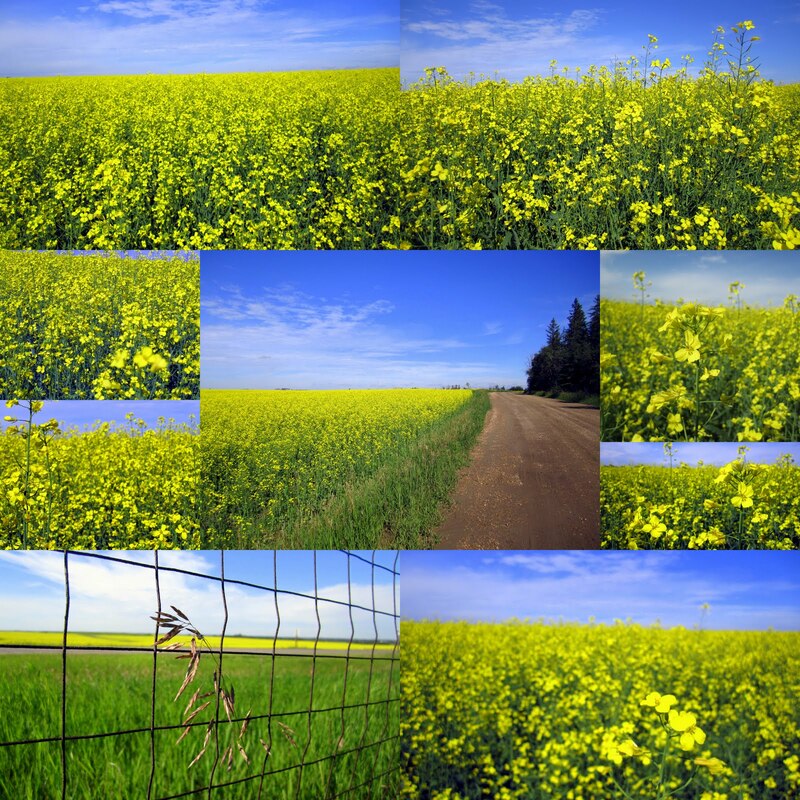 Can you imagine how stunning wedding photos would be with that vibrant yellow and bright blue as your backdrop? And at dusk, with the fading light, they are stunning. Too bad I can't capture that moment with my camera... I'd come back head-to-toe with mosquito bites! 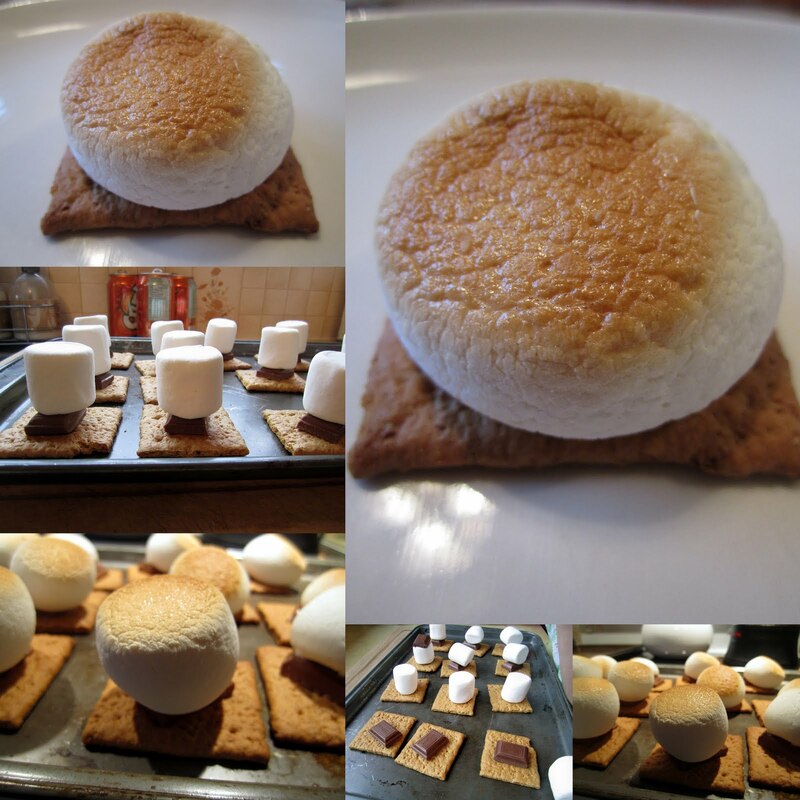 S'mores: Yay or nay? I love them. But I prefer open-faced. That top graham cracker just squishes all the goodness out all over your fingers. Who wants that?!? Non-Garmin stats (from yesterday): Gardening is hard work! I'd definitely call it a work out. Garden party!? Um. Awesome! Just another reminder how very much Ryan and I want to live on a farm! Open faced s'mores are legit.